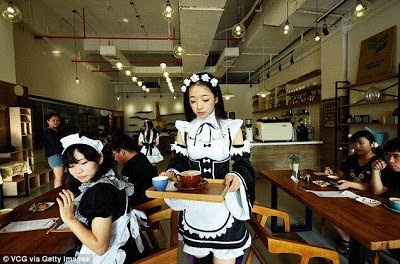 A bizarre pop-up cafe has opened up in China which has waitresses that dress up as maids and serve customers. Many of the staff members come from local universities and will even spoon-feed customers if needed. 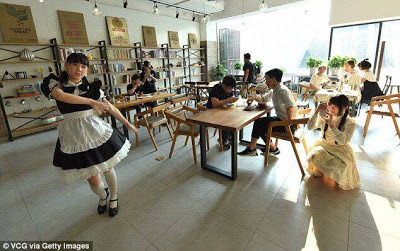 Maid cafes are incredibly popular in Japan and sees waitresses dressed in maid costumes. They act as the customers' servants and treat their masters to anything including being hand fed. 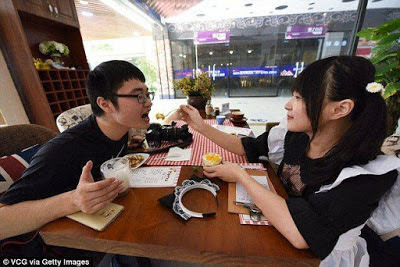 According to reports, the restaurant has brought in many customers wishing to get the real maid cafe experience.